Neelu Bhandari is the perfect example of an independent stay-at-home mom. Correction – independent tattooed working-from-home woman. And this is her #MyTattooStory. Neelu has three tattoos to talk about, two of them are over 16 years old, and tiny ones, but with her third one, Neelu has gone big and bold. 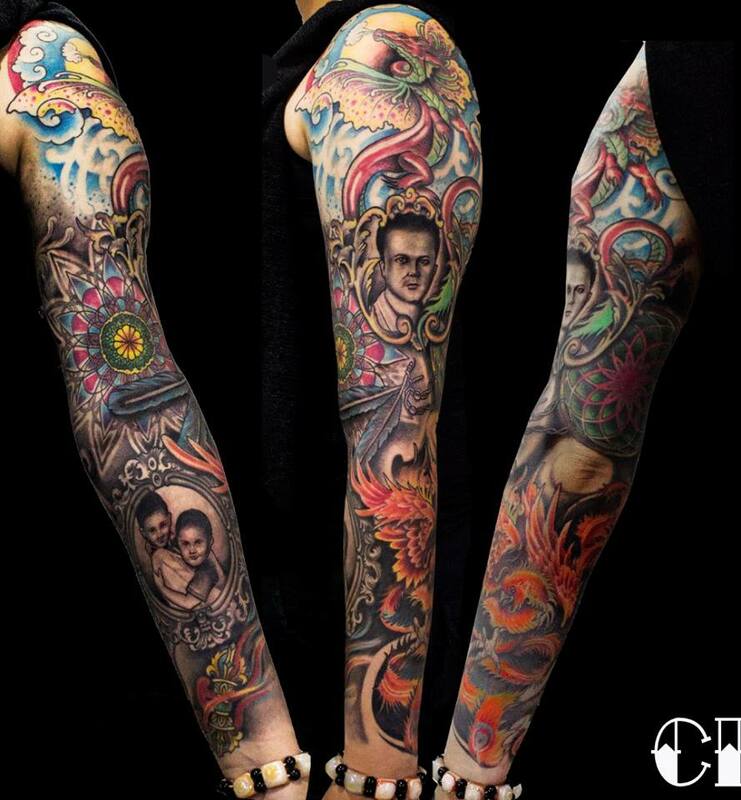 Our favourite badass mom just got entire arm sleeve done by the talented Tshering Sherpa of Calcutta Ink Tattoo Studio, and we simply can’t take our eyes off it. You follow her on social media, and she is probably the coolest mom you will come across, who gets drenched in the rain with her kiddos, has her playtime with the dawg, and is so much fun. But what underlines all of it is the strength of a woman, who is independent from her heart. But, how did you land up at Calcutta Ink? So, is it your journey so far? Or what does this sleeve represent? And what does the mandala signify? Did you have like a set style before starting with the sleeve or did you just go with the flow? You wanted to go colour? And how has your family reacted to the tattoo? Now, how do people around you react to your tattoos? So, 16 years back, 18 years back, what were the questions like?